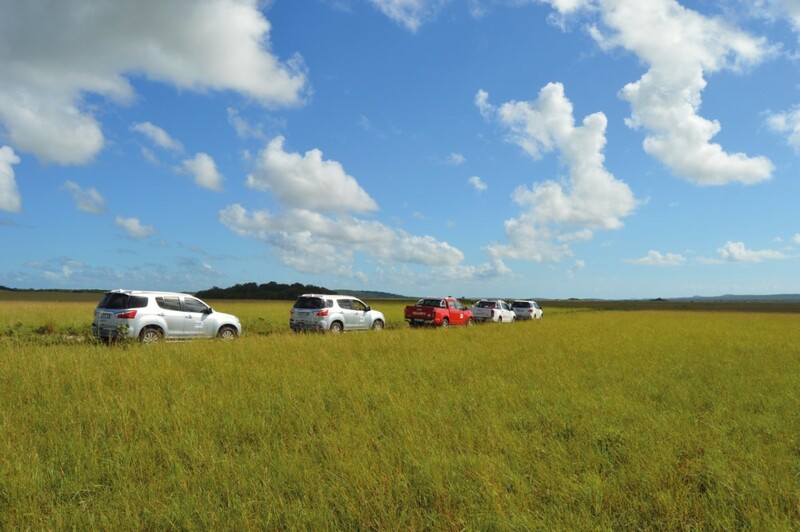 Who could say no to an invitation from Isuzu to come and drive their newly-launched mu-X SUV in Mozambique? I certainly couldn’t! 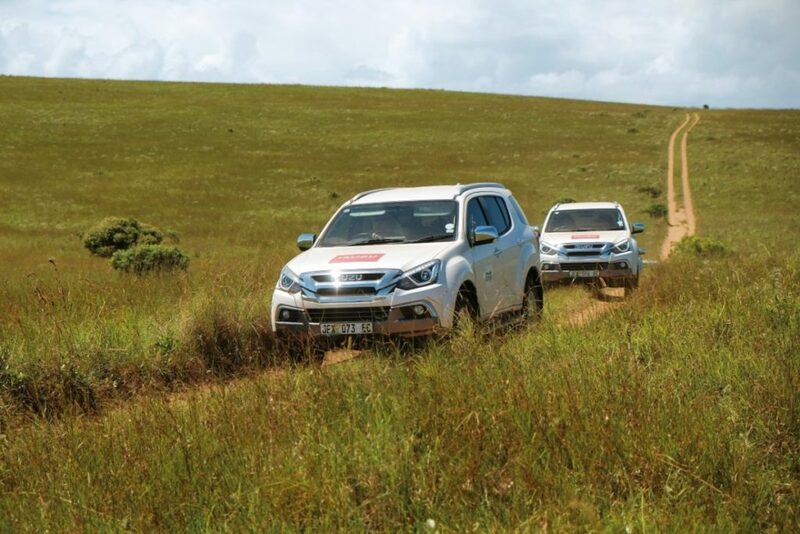 After a short redeye flight from Cape Town to King Shaka airport in Durban, we were met by the Isuzu team of Gishma, Ami and Azima, and by Grant, Chris, and “Boats” from Driving Dynamics, who would be our hosts and chaperones for the Isuzu mu-X Mozambique Adventure. Holding up the rear was Fanie, the paramedic, who somehow managed to forget his ambulance in Kosi Bay on the way home. Luckily, this was the only emergency of the entire trip, apart from the headaches of those who partook of one-too-many beverages. After a quick briefing from the Driving-Dynamics team at King Shaka Airport, we jumped into our mu-X, with its 3.0-litre turbodiesel and effortless six-speed auto transmission, and began the convoy drive to the Kosi Bay Lodge for a lunch stop. We then crossed the border into Mozambique and made our way to the White Pearl Lodge, which would be our luxurious base for the weekend. A word of caution when visiting 5-star venues which cater largely for the overseas market: never forget your toothbrush and toothpaste. I did, and the one supplied to me by reception (Clicks brand) cost me no less than R128 at my departure. At those prices, I would happily have cleaned my teeth with the ash from the beach bonfire, as our forefathers did when clicks were still part of the local language. Also, the complimentary chocolate in the bar fridge of my suite disappeared on the second day of my stay. Someone else besides me has a sweet tooth, it seems. But don’t let me take anything away from The White Pearl: it’s a Mozambican gem, and it’s understandable that prices are attuned to dollars and pounds rather than the lowly rand, which pales in value. Sometimes it’s best just to brush your teeth, wash your hands of the whole affair and move on with a broad smile. 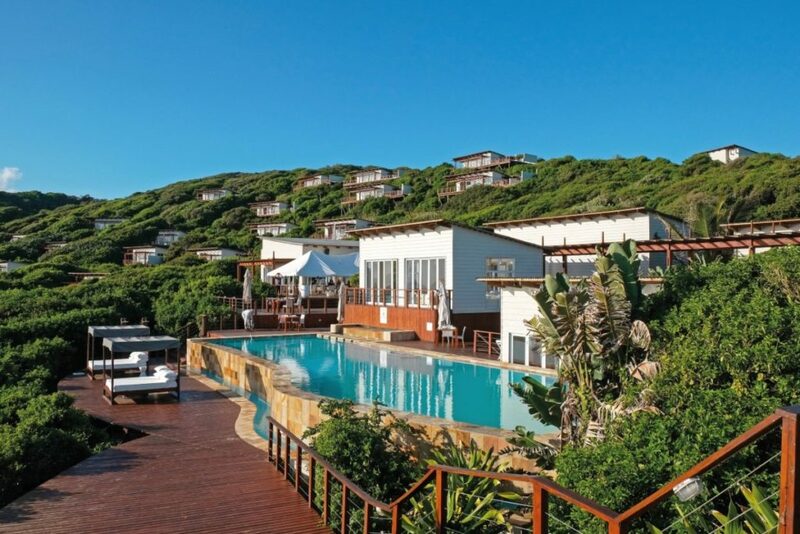 The White Pearl Resort is situated in Ponto Mamoli, a short distance from Ponto do Ouro, and is poised majestically among the dunes overlooking the pristine coastline that Mozambique enjoys. Swimming in the warm ocean waters is a great way to beat the humidity and heat of this tropical area, or you can simply walk out of your beautifully-decorated accommodation and take a dip in your own private plunge pool − each suite has one! Don’t forget to make use of the secluded outdoor shower which offers complete freedom, coupled with expansive views. Or you can light the incense burner next to the cavernous indoor bath, and top up the water with your toes while you laze the day away. The road from the border post has been tarred through to Maputo and down to Ponto do Ouro since I was last there in 2017, which makes it easy going right up to the sand-road turn-off to the White Pearl. The mu-X made easy work of the heavily potholed (once tarred), muddy, and very sandy, conditions, and I bottomed out only once or twice when being a bit accelerator-heavy. Some of the old tar-road potholes have suffered such severe erosion that alternative parallel sand roads have been carved out over time by vehicles wanting easier going and fewer punctures. 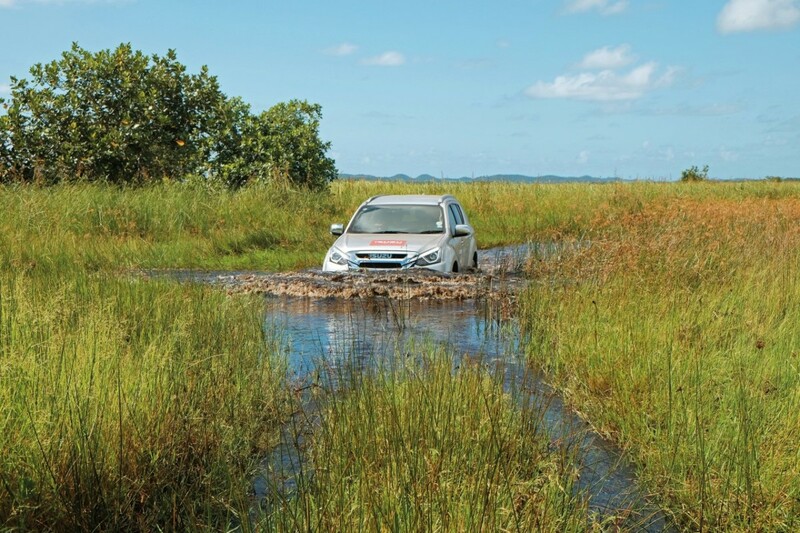 Water traverses that are filled with thick mud feature often in Mozambique, and heavy rains can turn an ordinary sand road into a peat-like bog in a matter of minutes. During our journey through the reserve, we encountered water and mud crossings which the vehicles slowly negotiated their way through in 4H. (Moving from 2H to 4H can be done on the fly). The vehicles handled even the crossings (which brought muddy water right to bonnet-badge level for a good few metres) with the sure-footedness of the resident hippos that graze on the reed-and-sedge beds common to the waterways in the area. On the second day of our trip, before going to dinner in Ponto do Ouro, we stopped off to have a look around the small town of Ponto Malongane, which has many roadside shops selling carvings and curios to tourists. 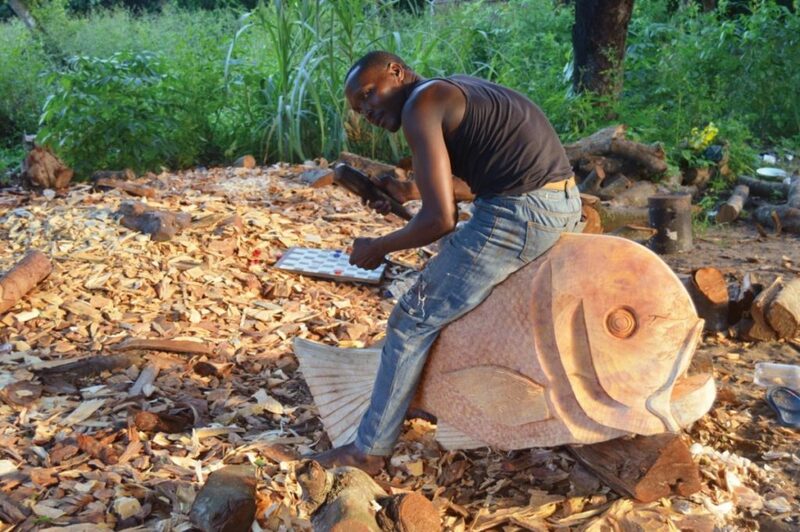 I managed to catch a glimpse of the hard work that goes on behind the scenes, and snapped a few photos of the locals toiling in the hot and humid temperatures, carving and chiselling away at their creations. 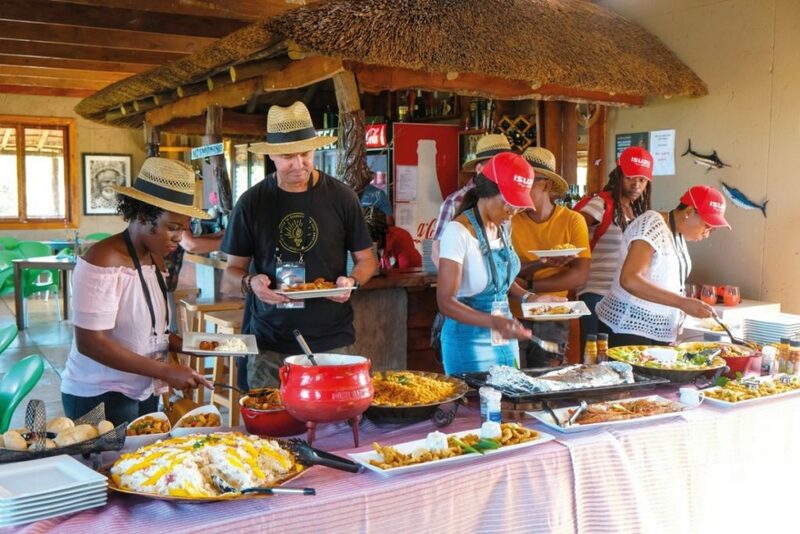 There is no shortage of restaurants and bars in Ponto Malongane, and these include The Drunken Clam, the Sunset Shack, the Tropical Ultra City Bar, Amigos Restaurant, Suzy’s Afro Bar and the Babalaza Bar, to name but a few. You’ll come across sellers of cashew nuts who tout for business as you meander through the rickety market stalls, and you’ll hear the local music wafting gently on the smoke of open fires as locals and visitors mingle and chat. 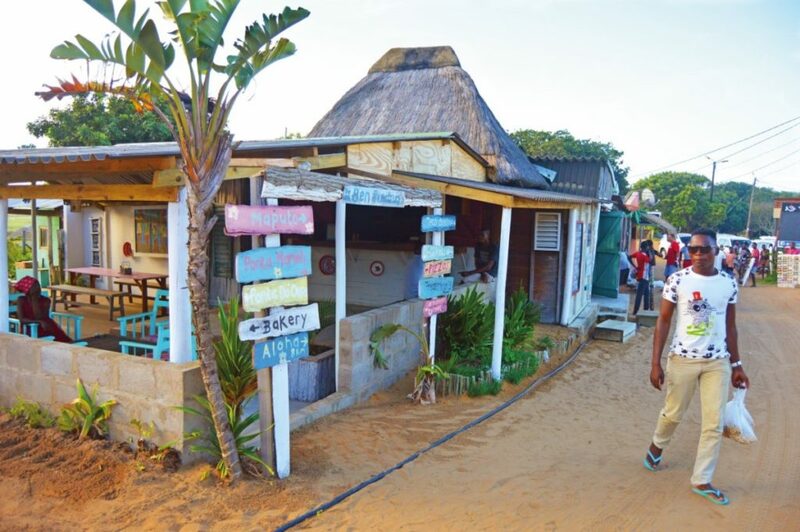 The Mozambican locals are friendly, so there are very few precautions you need to take when visiting this interesting part of Africa. There is a certain harmony that prevails here, which just intensifies the desire for a return journey in the future. Though the remaining ravages of war are just barely visible, as they are overrun by thick vegetation, and the last of the collapsing bullet-riddled buildings fade into the encroaching tropical green foliage, there is a new energy that prevails in Mozambique. The mu-X follows the same steadfast, low-revving route of the best Isuzu diesel engines that paved the way for this reliable brand; and, although it’s no rocket, it will surely last a lifetime (or close to it) clocking up hundreds of thousands of hassle-free kilometres along the way. A fleeting glimpse of the mu-X might suggest that many of the outgoing Trailblazer’s features still remain, but one of the main differences is the move away from the 2.8 turbodiesel used in the Trailblazer, to the 3.0-litre diesel Isuzu engine that has been a staple for the brand for many years, clocking up considerable reliability points. The interior sports an 8-inch infotainment system with an integrated reverse camera, and is incredibly roomy for driver and passengers. The 60-40 split rear seats are perfect for increasing boot space (to a considerable 1830 litres) when folded down. The mu-X also has numerous cup-holders and storage compartments throughout the vehicle, which make life on long trips that much more comfortable. The mu-X is fully imported from Thailand and was launched in South Africa in May 2018, so it has been on the market for only a short period. My impressions of this low-revving 7-seater are very favourable; it’s is a great SUV for the adventure-seeking family. It has a fine combination of modern safety features, the latest generation Electronic Stability Program, and Isuzu’s tried and tested 3.0 diesel motor. It offers comfortable driving, even off-road, as it’s cushioned by the independent front suspension and agile 5-link rear suspension. We arrived in Ponto do Ouro in the early evening, and made our way to the Love Café − where we were met with a welcome drink before a scrumptious dinner. An hour into the evening, we had to find tables under cover when there was a quick downpour, but this just added to the fun of the evening; the temperatures stayed very warm, despite the rain. For a starter, I had the delicious Phyllo Samoosas that were stuffed with mozzarella, feta and corn, and drizzled with local honey and sesame seeds. As the main dish, I opted for the medium-rare Love Beef, with skinny chips, fresh salad and a mouth-watering Gorgonzola sauce. I don’t usually go for dessert, but on this occasion I did − and the Tiramisu was a light, fluffy delight. After lots of chat and much laughter, we took a short night ride on the sandy roads back to the White Pearl for some much-needed shuteye. Our convoy spent many hours traversing the soft sand and occasionally-muddy water hazards of the reserve, and not once did any of the vehicles get bogged down or stuck – except for one vehicle on a steep sandy incline when the resident photographer got in the way of the progress of the vehicle. 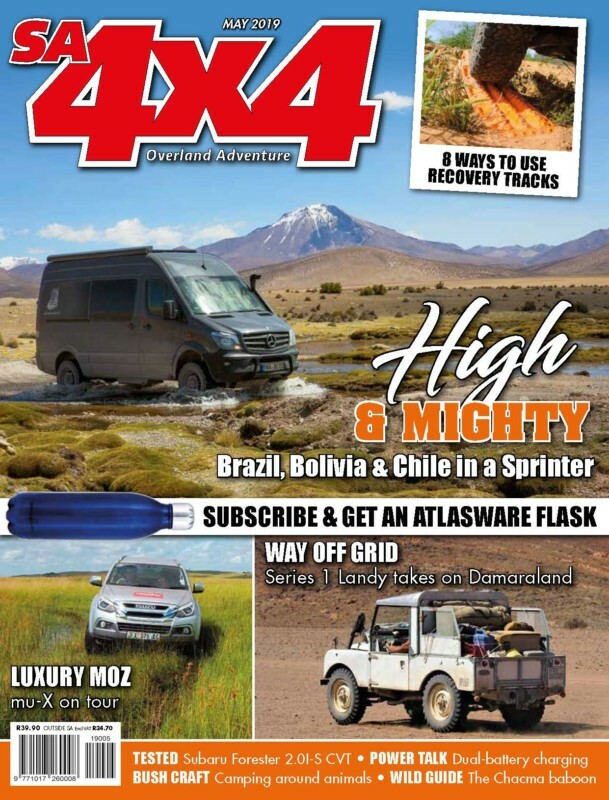 One thing that all serious off-road drivers know is that having to stop to avoid hitting a photographer when negotiating a steep sandy incline is a recipe for disaster. More seasoned off-road enthusiasts would simply opt to take out the photographer, but in our case, under the careful scrutiny of the Driving Dynamics team, the entire convoy ground to a halt and had to reverse down the steep incline to gain the necessary momentum to clear it… without the photographer standing on the middelmannetjie this time. I did hear mutterings of “Next time I’m going to aim for the photographer,” but, much to the dismay of these drivers, the opportunity never presented itself again, and the cameraman lives to tell the tale. 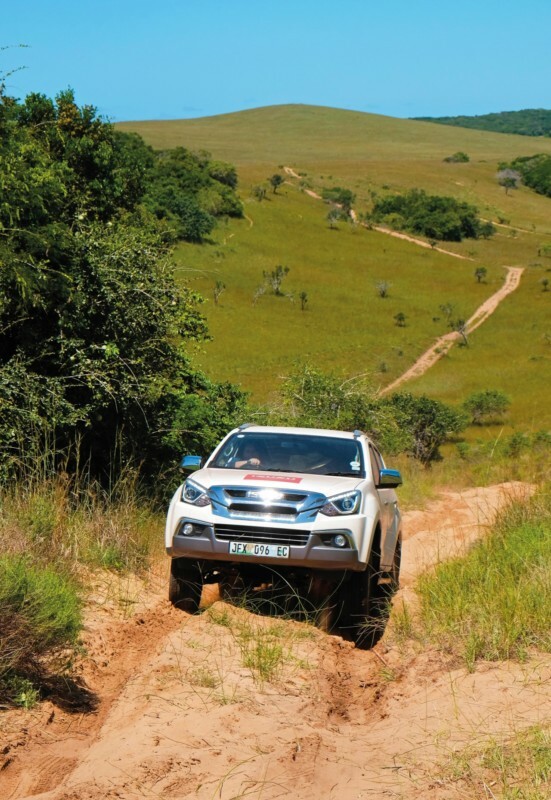 A word of thanks must go to the Isuzu team and the Driving Dynamics team for a flawless trip. What’s more, there was not one puncture or vehicle-breakdown in the many thousands of taxing kilometres we travelled, many of which were spent off-road. If the outcome of this trip is anything to go by, you should be seeing a lot more of Isuzu’s mu-X 3.0 diesel SUV on the road in the near future. The White Pearl’s six Beach Pool Suites are located on the beachfront with direct access to the beach. All suites are ocean-facing with a spectacular view, private plunge pool, private deck and outdoor shower. 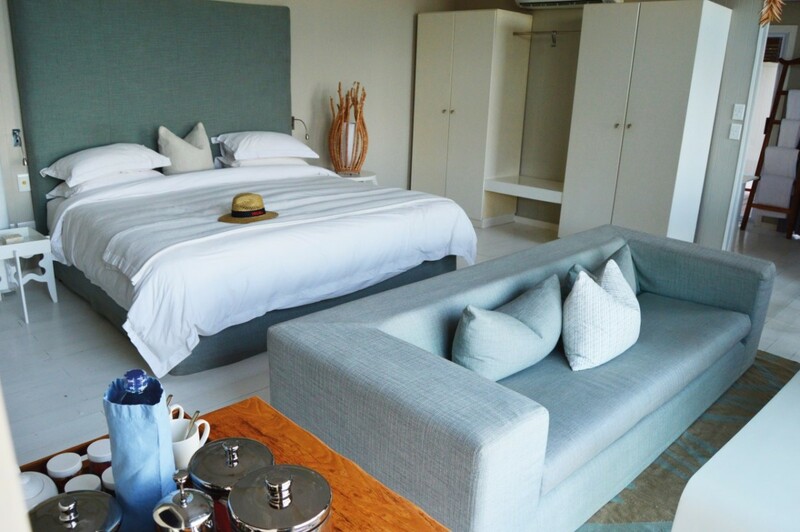 Rates for these suites start at $600 per person sharing in low season, and go up to $870 in the high season. All 16 exquisite Pool Suites are ocean-facing with panoramic ocean views, a private plunge pool, a private deck and an outdoor shower. Rates start at $550 per person sharing for low season, and go up to $800 in the high season. The White Pearl has various activities for holidaymakers, such as ocean safaris, game drives, and coral-reef snorkelling with the opportunity to see dolphins. 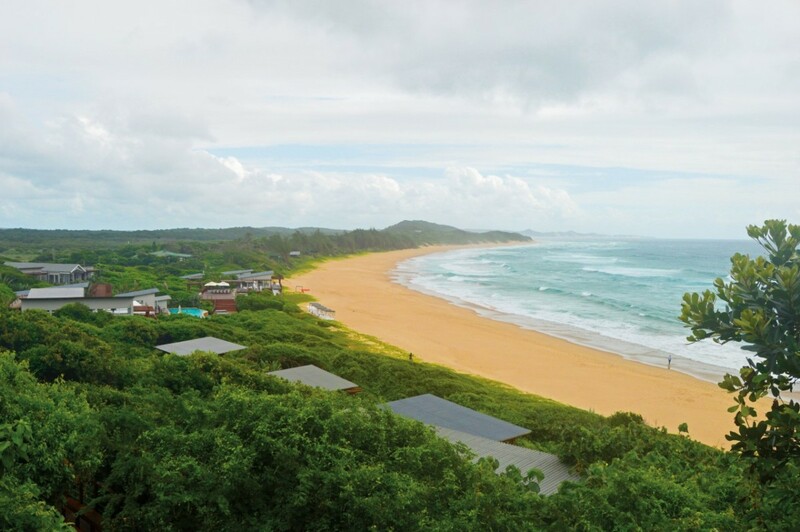 You can also hire a fat bike for beach riding, take a walk on the area’s pristine beaches, and engage in numerous other interesting adventures to pass the time. From July to November each year, Humpback whales visit these waters on their annual migration. Whale-watching is conducted from the comfort of the snorkelling boat, where you can observe the whales blowing, breaching, lob-tailing and playing in the warm waters. Later in the season, you may be lucky enough to encounter the newborns as they learn to breach and play. The resort is on one of the richest turtle-nesting sites in southern Mozambique, and between November and February each year, Loggerhead and Leatherback Turtles head to this stretch of coast to lay their eggs. The turtle-walk is a must for visitors. Trips to the Maputo Special Reserve are also available, and there is a guided exploration walk to Lake Mamoli, where much of the endemic flora and fauna can be viewed − including 433 species of butterfly.